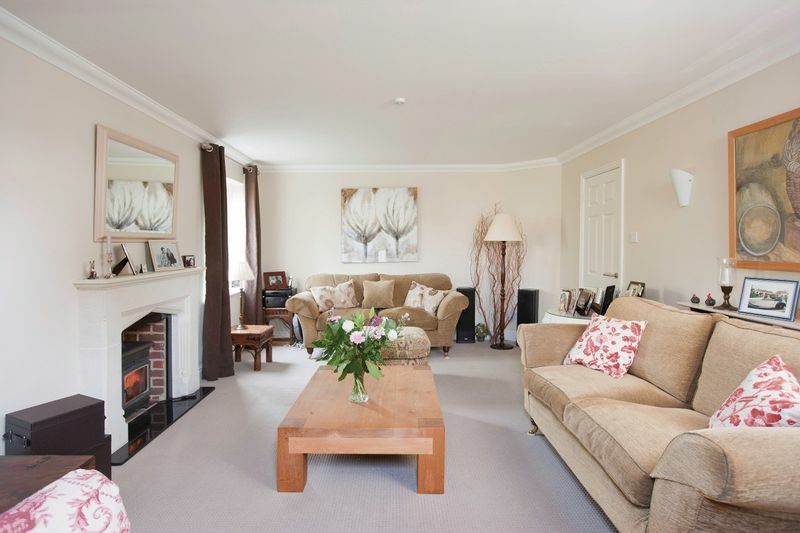 Detached 4 bedroom family house of contemporary style located in the charming River Test village of Chilbolton with it's excellent facilities. 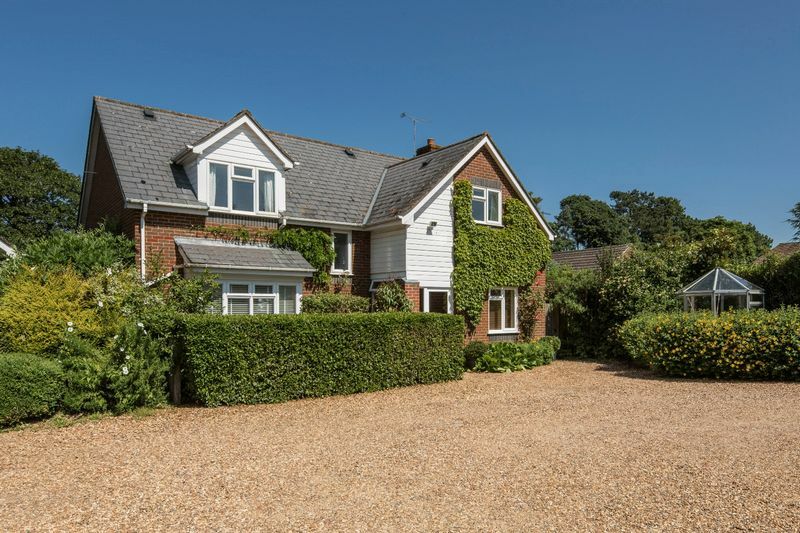 This 4 bedroom detached property provides well planned accommodation and an excellent balance of formal and informal living space. 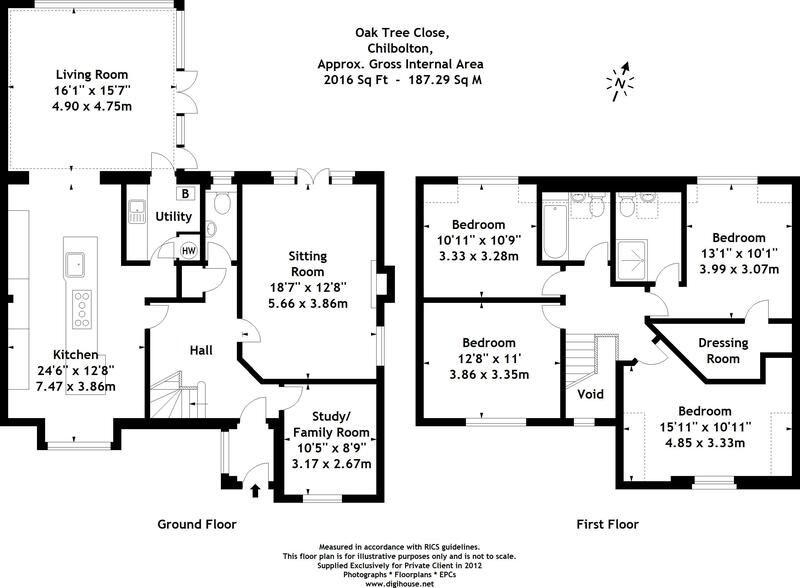 The central kitchen / living / dining area is open plan and leads to a large rear garden. 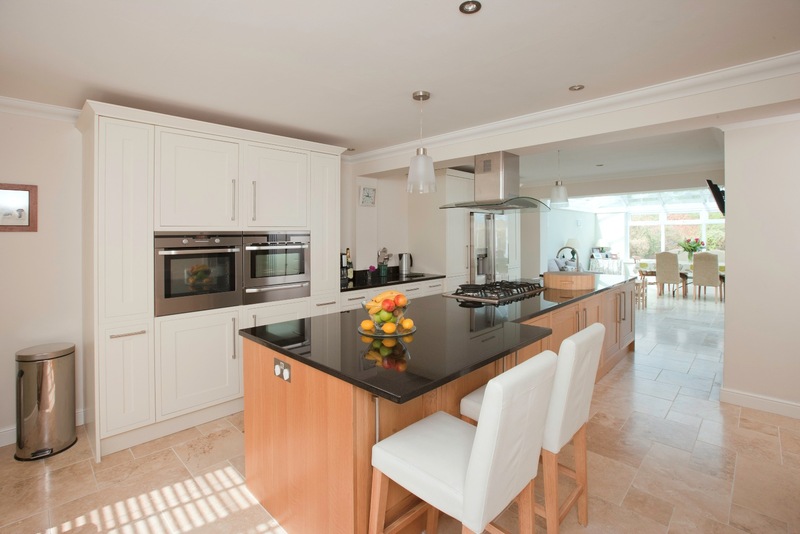 The kitchen has been finished in a contemporary style with underfloor heating, oak and painted oak cabinets, two larder units and the large island unit. 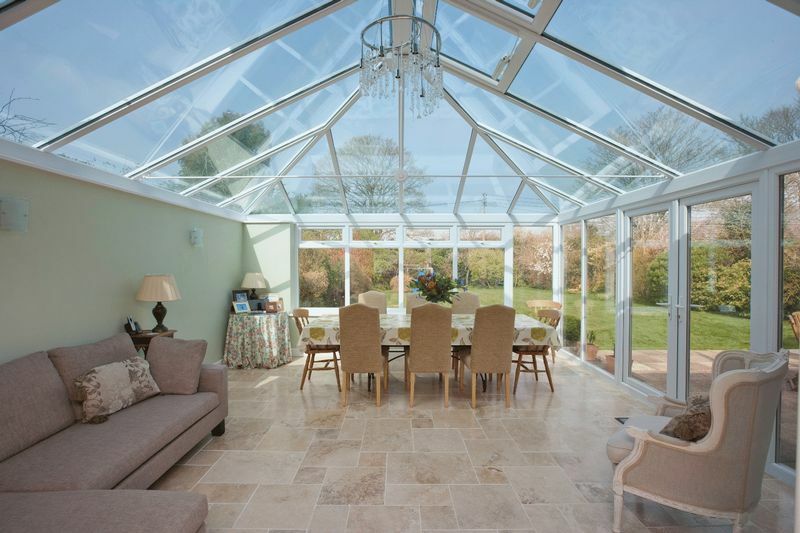 The Dining/Living room is wonderfully light yet warm under a blue argon filled glazed roof. Automatic ceiling vents allow the room to be further thermally controlled and protected against the elements. French windows open onto the terrace. A second, single door allows access to the garden from the utility room. The elegant sitting room has a central fireplace and wood burning stove and again connects with the garden via French windows. The Study/Family Room is useful either as a home office snug/tv room. The cloakroom, bathroom and en suite have all been finished in a contemporary style. The master bedroom overlooks the garden, with treetop views to the other side of the valley beyond. There is both a walk-in dressing room and an adjoining large shower room. There are 3 further good sized bedrooms and a family bathroom. 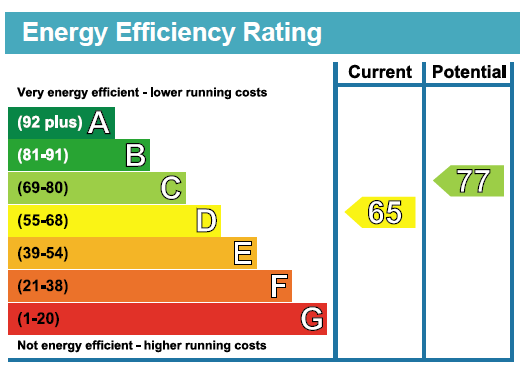 If required the loft space, large and boarded, is easily accessed. The garden is mature and well planted. The good sized rear garden combines a terrace, lawn, mature borders and a wooded area to the bottom. Plantings include a variety of established shrubs, perennials plus apple trees, a pear and an oriental pear. The garden continues around the side of the property. To the front, the garden has mature shrubs, creepers and wisteria. The vegetable garden has 2 raised vegetable beds. A car port provides covered parking and log storage. There is also a double garage and driveway parking. The entrance to the property is via a long gravel driveway, with a planted border. This access is shared with the neighbouring property.